With this year’s EGU General Assembly (GA; #EGU19) looming in less than a week, it’s time for all attendees to finish (or start) their own scientific contributions, create their own personal programs as well as plan other activities during the conference. In this blog Nico Schliffke (GD ECS Rep) would like to share some useful advice how to successfully navigate through the conference and highlight relevant activities, both scientific and social, for Geodynamics Early Career Scientists (ECS). The huge variety of scientific contributions (~18,000 at EGU18) might seem intimidating to begin with and makes it impossible for any individual to keep track of everything. 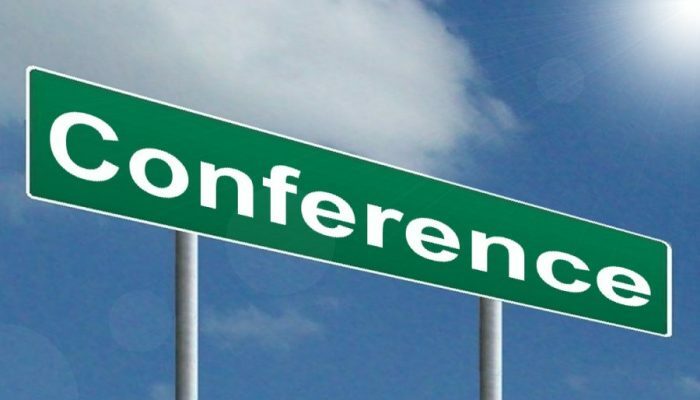 To be well prepared for the conference, allow for a bit of time to create your own personal programme by logging in with your account details and search for relevant sessions, keywords, authors, friends or any other fields of interest. If you have found anything interesting, add it to your personal programme by ticking the ‘star’. After completing your personal programme you can print your own timetable or open it in the EGU 2019 app. 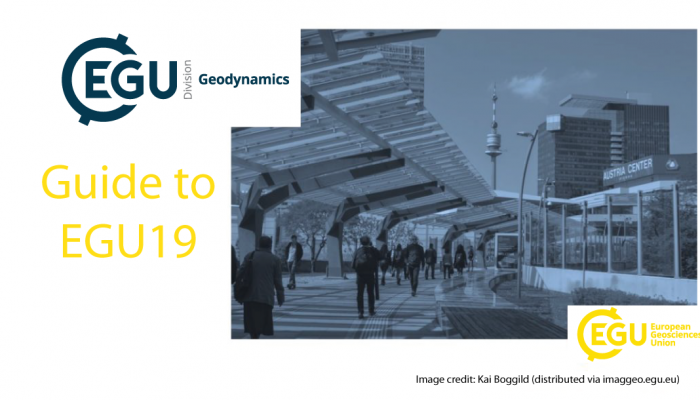 How to navigate the EGU: tips and tricks (Mon, 08:30 – 10:15, Room -2.16) – This workshop is led by several EGU ECS representatives and will give an overview of procedures during EGU as well as useful tips and tricks how to successfully navigate the GA.
Geodynamics 101A: Numerical methods (Thur, 14:00-15:45, Room -2.62) Building on last year’s short course, we are happy to announce two short courses this year as a part of the ’Solid Earth 101’ series together with Seismology 101 and Geology 101. The first course deals with the basic concepts of numerical modelling, including discretisation of governing equations, building models, benchmarking (among others). Geodynamics 101B: Large-scale dynamical processes (Fri, 14:00-15:45, Room -2.62) – The second short course will discuss the applications of geodynamical modelling. It will cover a state-of-art overview of main large-scale dynamics on Earth (mantle convection, continental breakup, subduction dynamics, crustal deformation..) but also discuss constraints coming from seismology (tomography) or the geological record. Geology 101: The (hi)story of rocks (Tue, 14:00 – 15:45, Room -2.62) – The complementary workshop in the 101 series: Find more about structural and petrological processes on Earth. It’s definitely worth knowing, otherwise why should we be doing many of these Geodynamical models? Seismology 101 (Wed, 14:00 – 15:45, Room -2.62) – The second complementary workshop in the 101 series. Many geodynamical models are based on observations using seismological methods. Find out more about earthquakes, beachballs and what semiologists are actually measuring – this is essential for any numerical or analogue geodynamical model! 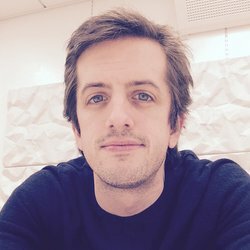 Arne Richter Award for Outstanding ECS Lecture by Mathew Domeier (Tue, 12:00-12:30 Room -2.21) – The Arne Richter award is an union-wide award for young scientists. We are happy to see that Mathew as a Geodynamicist has won the medal this year! Come along and listen to his current research. Augustus Love Medal Lecture by Anne Davaille (Thur, 14:45-15:45, Room D1) – Listen to the exciting work of the first female winner of the Augustus Love Medal (the GD division award), Anne Davaille! She is specialised on experimental and analytical fluid dynamics which has given Geodynamics many new insights. 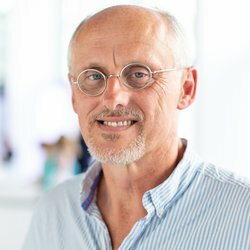 Arthur Holmes Medal Lecture by Jean Braun (Tue, 12:45-13:45, Room E1) – This one of the most prestigious EGU award for solid Earth geosciences. Jean is a geodynamicist from Potsdam and works on integrating surface and lithospheric dynamics into numerical models. ECS GD informal lunch (Mon, 12:30-14:00) – Come and meet the ECS team behind these GD activities! Meet in front of the conference center (look for “GD” stickers), to head to the food court in Kagran (2 subway stops away from the conference center, opposite direction to city centre). ECS GD dinner (Wed, 19:30-22:00) – Join us for a friendly dinner at a traditional Viennese ‘Heurigen’ with fellow ECS Geodynamicists at Gigerl – Rauhensteingasse 3, Wien 1. Bezirk! If you would like to attend the ECS GD dinner on Wednesday, please fill out this form to keep track on the number of people: https://docs.google.com/forms/d/e/1FAIpQLScpi8gvDDMOOOjLbtq4BrElsoBtTv86Mud7qNQ5yl7qWP5cUA/viewform Remember to bring some cash to pay for your own food and drinks! GD/TS/SM drinks (Wed, after ECS GD dinner) – Don’t worry if you cannot make for the ECS GD dinner! After dinner we’ll have a 5 min walk to Bermuda Bräu – Rabensteig 6, 1010 Wien for some drinks together with ECS from Seismology (SM) and Tectonics/Structural (TS), so you can meet us there too! GD Division meeting (Fri, 12:45-13:45 Room D2) – Elections and reports from the division president, ECS representative and other planning in GD related matters. Lunch provided! Meet the division president of Geodynamics (Paul Tackley) and the ECS representative (Nico Schliffke) (Wed, 11:45-12:30, EGU Booth) – Come and discuss with the president and ECS rep about any GD related issues, suggestions or remarks. Geodynamicists eating lunch at Kagran – it’s tradition by now. Networking and ECS Zone (all week – red area) – This area is dedicated to early career scientist all week and provides space to chillout, get your well deserved coffee or find out more about ECS related announcements. Opening reception (Sun, 18:30 – 21:00, Foyer F) – Don’t miss out on many new faces and friends, as well as free food and drinks and the opening (ice-breaker) reception! 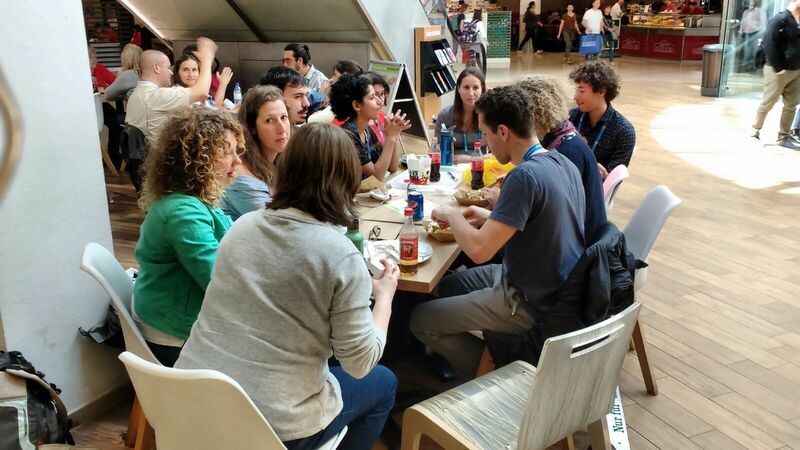 There will also be a ECS corner to meet fellow young scientists, especially if it’s your first EGU. EGU Award Ceremony (Wed, 17:30 – 20:00, Room E1) – All EGU medallists will receive their award at this ceremony. Science in policymaking: Who is responsible? (Mon, 10:45 – 12:30, Room E1) – Actively take part in one of the presently most important and hot topic! How can Early Career Scientists prioritise their mental wellbeing? (Tue, 19:00 – 20:30, Room E1) – Many ECS find it challenging to prioritise their mental wellbeing. 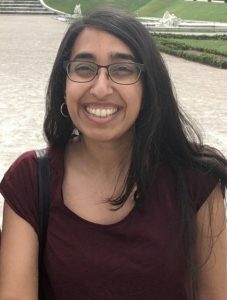 Discuss with many other young scientist how to tackle this really important issue and maybe learn helpful tips how to improve your own wellbeing! Help! I’m presenting at a scientific conference (Mon, 14:00 –15:45, Room -2.62) – Your first conference talk might be daunting. Find out best practices and tips how to create a concise and clear conference talk. How to share your research with citizens and why it’s so important (Mon, 14:00-15:45, Room -2.16) – Do you share your research with the public? Can you explain in simple matters? An important topic for researchers currently! How to make the most of your PhD or postdoc experience for getting your next job in academia (Tue, 16:15 – 18:00, Room -2.85) – It’s never too early to plan your next career step. How to peer-review? (Mon, 16:15 -18:00, Room -2.85) – After the end of a PhD (or sometimes even earlier!) you may be asked to peer-review journal contributions, but hardly anyone knows the process beforehand. How to find funding and write a research grant (Tue, 10:45-12:30, Room -2.16) – One of the major tasks when you finish your PhDs. It might even be useful when writing applications for travel support etc. Balancing work and personal life as a scientist (Wed, 16:15 – 18:00, Room -2.85) – Find out how not to lose sight of your hobbies and personal life in a increasingly competitive academic environment. Games for Geoscience (Wed, 16:15-18:00 (Talks) in Room L8 and 14:00-15:45 (Posters), Hall X4) – Games are more fun than work! Learn more on how to use games for communication, outreach and much more. Promoting and supporting equality of opportunities in geosciences (Thu, 14:00-18:00, Room E1) – Any of us should promote an open, equal opportunity working environment and this session promises some very interesting talk on common issues, solutions and initiatives. What I’ve learned from teaching geosciences in prisons – (Thu, 14:00-15:45, Hall X4 – Poster) by GD ECS Phil Heron. Rhyme Your Research (Tue, 14:00 – 15:45, Room -2.16) – Reveal the poet in you and explain your research in an interesting and unusual way! This is just a small list of possible activities during EGU19, and I’m sure to have missed out many more. So keep your eyes and ears open for additional events and spread the word if you know anything of particular interest. Also make sure you follow the GD Blog, our social media (EGU GD Facebook page) and EGU Twitter, to keep updated with any more information during the week! The official hashtag is #EGU19. All the best for EGU and I am looking forward to meeting many of you there! Conferences are an integral part of a PhD. They are the forum for spreading the word about the newest science and developing professional relationships. But as a PhD student they are more likely to be a source of palpitations and sweaty palms. This week Kiran Chotalia writes about her personal experience on conferences, and lessons learnt over the years. Kiran Chotalia. PhD Student at Dept. 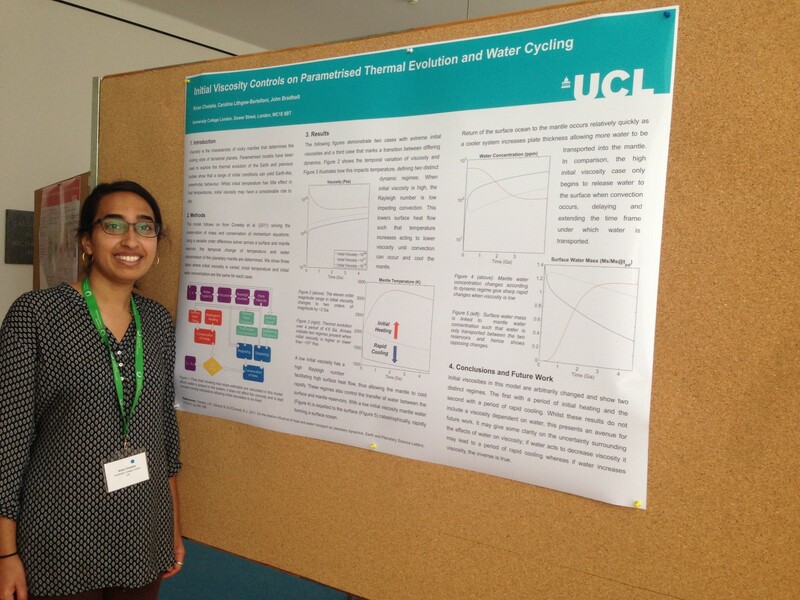 of Earth Sciences, University College London, UK. My PhD is a part of the Deep Volatiles Consortium and a bunch of us started on our pursuit of that floppy hat together. Our first conference adventure was an introduction to the consortium at the University of Oxford, where the new students were to present on themselves and their projects for a whole terrifying two minutes. At this stage, we had only been scientists in training for a few weeks and the thought of getting up in front of a room of established experts was scary, to say the least. Lesson #1: If it’s not a little bit scary, is it even worth doing? It means we care and we want to do the best we can. A healthy dose of fear can push us to work harder and polish our skills, making us better presenters. Overcoming the fear of these new situations takes up a lot of your energy. But it always helps to practice. In particular, I’ve always been encouraged to participate in presentation (poster or oral) competitions. Knowing that you’re going to be judged on your work and presentation skills encourages you to prepare. And this preparation has always helped to calm my nerves to the point where I’m now at the stage I can enjoy presenting a poster. Regular work goals that crop up in other professions are often absent, especially when we’re starting out. 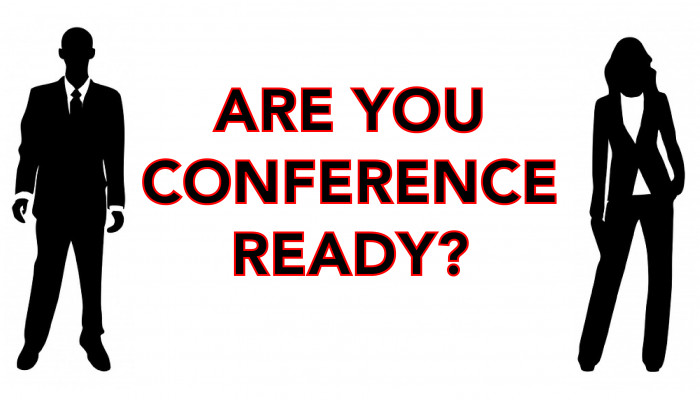 The build-up to a conference acts as a good focus to push for results and some first pass interpretations. At the conference itself, it makes sure people come to see your poster and you can start to get your face out there in your field. Lesson #2: Sign up for presentation competitions. 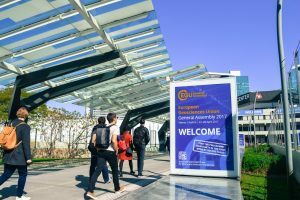 AGU’s Outstanding Student Presentation Award (OSPA) and EGU’s Outstanding Student PICO and Poster (OSPP) awards are well established. At smaller conferences, it’s always worth asking if a competition is taking place as, speaking from experience, they can be easily missed. They also give you a good excuse to practice with your research group in preparation, providing the key component of improving your presentation skills: feedback. Lesson #3: Ask for feedback, not just on your science but your presenting too. If you’re presenting to people not in your field, practice with office mates that have no idea what you get up to. By practicing, you can begin to find your style of presenting and the best way to convey your science. Me, (awkwardly) presenting my first poster at the Workshop on the Origin of Plate Tectonics, Locarno. Sometimes, you’ll be going to conferences not only with your fellow PhD students, but also more senior members. They can introduce you to their friends and colleagues, extending your network, more often than not, when you are socialising over dinner, after the main working day. Lesson #4: Keep your ear to the ground. These events provide a great opportunity to let people know you are on the hunt for a job and hear about positions that might be right for you. 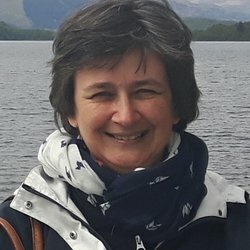 At AGU 2018, I became the proud owner of a ‘Job Seeker’ badge, provided by the Careers Centre. It acted as a great way to segue from general job chat into potential leads. A memento that I’ll be hanging on to and dusting off for conferences to come! One of the biggest changes to my conferencing cycle occurred last year after attending two meetings: CIDER and YoungCEED. Both were workshops geared towards learning and research, with CIDER lasting four weeks and YoungCEED lasting a week. Lesson #5: Attend research specific meetings when the opportunity arises. Even if they don’t seem to align with your research interests from the outset, they are incredible learning opportunities and a great way to expand your research horizons. By attending these meetings, the dynamic of my first conference after them shifted. There was a focus on catching up with the collective work started earlier in the year. Whilst the pace was the most exhausting I’ve experienced thus far, it was also the most rewarding. Between all the learning and networking, faces start to become familiar. Before you know it, these faces become colleagues and colleagues quickly become friends. In our line of work, our friends are spread over continents, moving from institution to institution. They tend to offer the only opportunity to be in the same place at the same time. This also results in completely losing track of time and catching up into the early hours of the morning, so the next lesson is more subjective. Lesson #6: Know your limits. Some can stay out until 4am and rock up at the 8.30am talk. I wish I was one of these people but I have a hard time keeping my eyes open past 12.30am. Whatever works for you! 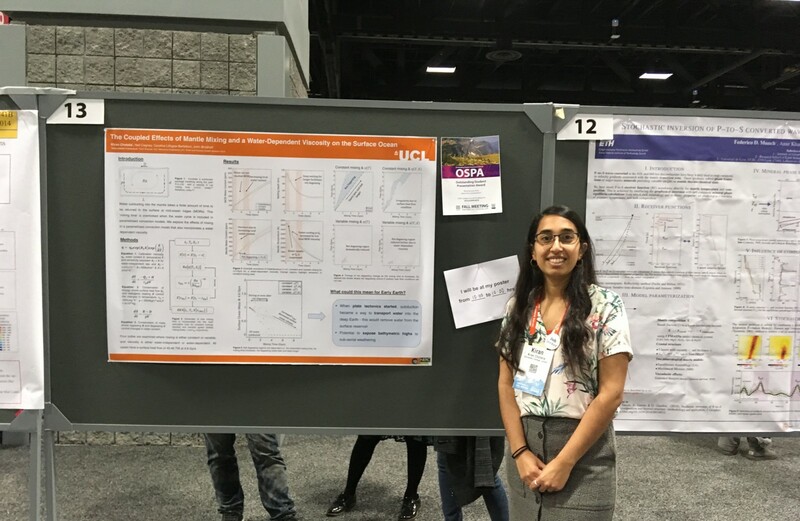 Me, presenting my most recent poster at AGU 2018 with my job seeker badge! After the conference finishes, you are often in a place that you’ve never visited before. Lesson #7: Have a break. If you can, even an extra day or two of being a tourist is great treat after a hectic build-up as well as the conference itself. If staying for a mini holiday post-conference is not an option, make sure you take some time when you get home to rest and readjust before you get back to work and start planning for the next one. Last but not least, Lesson #8: Don’t forget to have fun. The stress surrounding conferences and your PhD in general can at times be all consuming. Remember to enjoy the small victories of finally getting a code to run or finding time on the SEM to analyse your samples. At conferences, enjoy being surrounding scientists that are just starting out and the seasoned professionals with a back catalogue of interesting stories. And if you’re lucky enough to be at a conference somewhere sunny, make sure to get outside during the breaks and free time to soak up some vitamin D! The Shanghai skyline after the Sino-UK Deep Volatiles Annual Meeting at Nanjing University. It’s almost time for the AGU fall meeting 2018! Are you ready? Have you prepared your schedule and set up all your important business meetings? Here are some final tips to nail your presentation and/or poster! 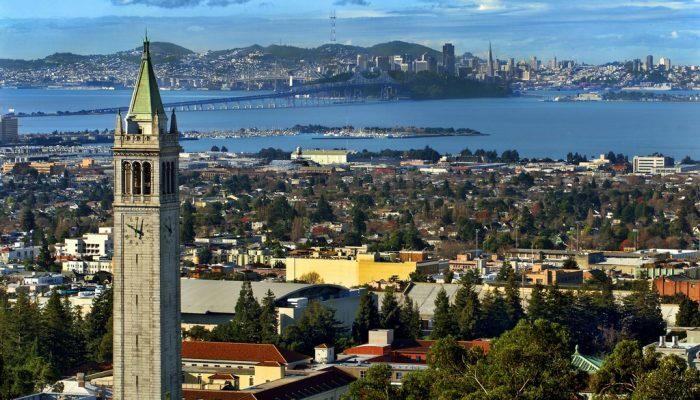 Berkeley: There are definitely worse places to stay 4 weeks for a summer school. And we’re back! After a refreshing holiday (or was it? 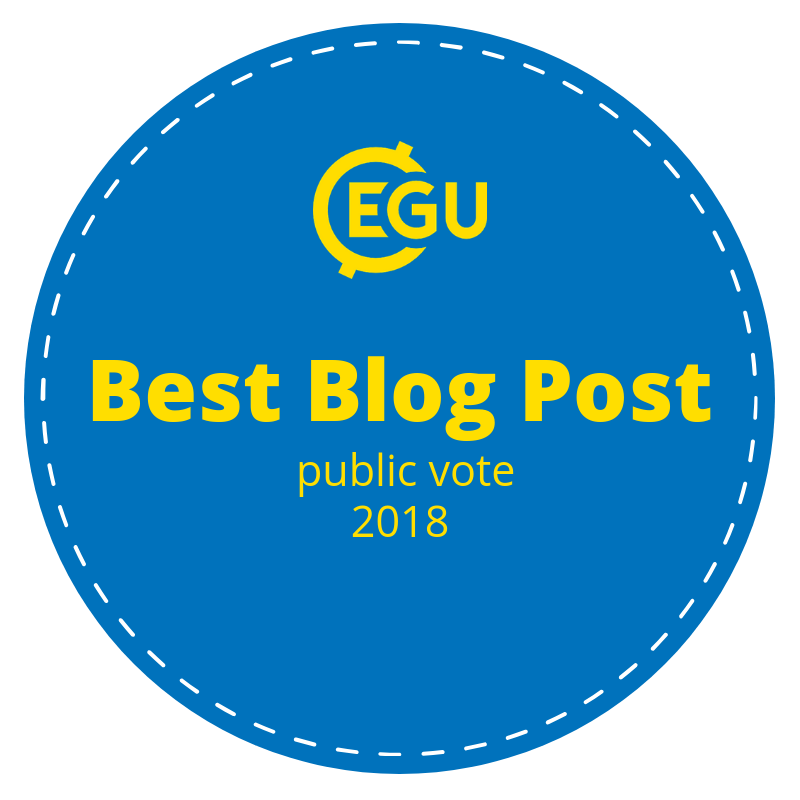 ), the EGU GD Blog Team is ready to provide you with amazing blog posts once more! Although holidays can be great, one thing that can be even more great is a good summer school. Yep, you heard that correctly! Let me convince you to apply for the CIDER Summer School program next year. Let’s start with the basics. What the hell is CIDER? Well, CIDER stands for the Cooperative Institute for Dynamic Earth Research. One of it’s main focusses is the interdisciplinary training of early career scientists. To that end, they organise a summer school every year (usually in June/July) that lasts for 4 weeks. Again, you heard that correctly. You are very good at listening! The first two weeks of the summer school are dedicated to getting up to speed on the topic of the summer school by means of lectures, tutorials, a little field trip, etc. During the last two weeks you will work together in groups on a project of your choosing. The projects are determined during the first two weeks, when you figure out where the knowledge gaps are and you start making teams (no worries, nobody will be left out). You will come up with possible project topics yourself, so you can imagine that there can be quite some lobbying going on to make sure your team gets sufficient members to pursue your favourite project! Together with your team of students and postdocs, you will confer with established experts in the field to make your project a success. After two weeks, you can probably show some reasonable first results during the final presentation in front of everyone. If you want to continue working on your project with your team afterwards, you can even write a small proposal to CIDER to request some funding to meet up again and turn your project into a paper. Although they can’t reimburse intercontinental flights, it is still a pretty awesome opportunity! The topic of the summer school changes every year and alternates between a ‘deep’ topic and a ‘shallow’ topic. I attended the CIDER 2017 summer school with the topic ‘Subduction zone structure and dynamics‘ – a shallow topic. This year (2018), the topic was ‘Relating Geophysical and Geochemical Heterogeneity in the Deep Earth‘ – clearly a deep topic. If you want to know more about this year’s summer school, our Blog Reporter Diogo wrote about it here. Students from all kinds of different disciplines are encouraged to apply: geology, geochemistry, seismology, geodynamics, mineral physics, etc. The more diversity the better, because you need to learn from each other! Now that we have all the details out of the way, I can properly start to convince you to apply! Did I already mention that the summer school is in an exotic place in California, USA? In 2017, the summer school was in Berkeley and this year it was in Santa Barbara. These locations are always fixed, with the ‘shallow’ topics being held in Berkeley, and the deep topics being held in Santa Barbara. Maybe this can act as your guide for finding out which kind of topic to ultimately pursue in your career. Also, can you imagine? Four weeks, in beautiful, sunny California for ‘work’? Because, yes, it is work, technically, but it won’t feel like it. Actually, it’s kind of like being transported to one of those American high school / college movies. Does anyone else watch those? Nope, just me? Okay then. You will get the full American student experience, as you will sleep in an actual dorm with all your fellow students and go to the dining hall religiously for breakfast, lunch, and dinner each day and every day! Yes, also in the weekends, because it’s free and you’re a poor student! Minor side-effect is that you want be able to look at – let alone stomach – burgers, fries, pizzas, and hotdogs for at least a year, but it’s totally worth it for this all-American movie-like experience. Obviously, sharing a dorm with all your fellow students and complaining about the food will forge bonds that will last far longer than the duration of the summer school and you are guaranteed to have a lot of fun during the summer school also after the lectures. Although the program is pretty packed, you will have free evenings (during which you might catch up on your actual work) and you will have some days off during the weekends. Of course, you can’t have all weekend days off, because it wouldn’t be a proper summer school experience if you don’t return completely exhausted, right? However, on your precious days off, you can go and explore beyond the campus and do some nice day trips to a nearby city or nature reserve. You can of course also use your free evenings and weekends to sample some of the night life of whatever Californian city you are staying in! I thoroughly enjoyed my own CIDER experience in Berkeley, 2017. I learned loads of things about subduction zones and a lot of my knowledge was refreshed, specifically on geochemistry, mineral physics and geology. It was great fun to live on an American campus (I mean, I really did feel as if I’d stumbled into an American teen movie) and we did some pretty cool things besides the summer school! There was a lovely field trip to learn a bit more about rocks and it was also a great opportunity to see something of the landscape and enjoy incredible views over San Francisco. Of course, San Francisco itself was also visited during one of our days off and I finally saw the Golden Gate bridge up close and ate crab at Fisherman’s Wharf. Unforgettable experience. Best day of the summer school. I cannot recommend it enough! We also went out for dinner and drinks on occasion in the city centre of Berkeley and we even snuck in a visit to the musical ‘Monsoon Wedding’ at Berkely Rep.
After the summer school, our project group applied for funding to meet up again (I just couldn’t get enough of the American vibe) and lo and behold, we actually got the funding! So this spring, I found myself in Austin, Texas, to work on our project. It was pretty amazing to have an opportunity like that, and I can assure you that we also had lots of fun in Austin. I mean, it’s Texas, what did you expect? I was already over the moon by the fact that I had the possibility of spotting men wearing cowboy boots for real and not just for carnival! All in all, I can thoroughly recommend the CIDER summer school as a great learning experience and opportunity for meeting fellow scientists interested in your topic of choice. Next year, the topic will be ‘Volcanoes‘, so if you have any interest in that, be sure to apply! There is also always a one-day pre-AGU workshop, where you can get a little taste of the summer school, as the progress on the projects of the previous year is reported and lectures anticipating the coming topic are held. So, are you going to apply to CIDER next year? I mean, who doesn’t lava volcanoes? !